Eleanor “Ellie” Ruth Leikin is the beloved daughter of Sherry and Larry Leikin and sister of Jordan and Michaela. 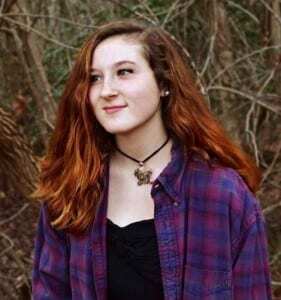 She was a junior at Severna Park High School and a member of the National Honor Society. She enjoyed photography, snowboarding and scuba diving, but mostly she loved spending time with her many friends. She was also determined to learn to drive her 1978 orange VW bus, the Mystery Machine. Tragically, Ellie took her own life on November 29, 2015. An organization to help raise mental awareness and support suicide prevention for teenagers in Maryland has been established to honor and remember Ellie’s life. If you’d like to learn more about “Ellie’s Bus” or want to make a donation, click here.